As many of you know, the Stockbridge School of Agriculture has always offered exciting programs. However, Over the last couple of months, significant changes have occurred which will make it even better than before. 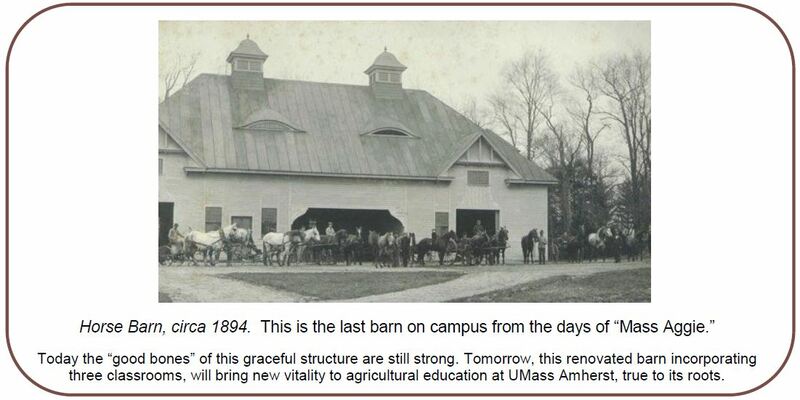 These changes are born out of a committee appointed to review agricultural education at UMass and develop approaches to strengthen all agricultural work at UMass. A refocus of agricultural efforts is now the main effort as a result of this review. School of Management. So before anything could happen, the rules needed to change. Thankfully, our efforts were supported by all levels of administration, and they found a way to change the rules, creating a new designation, a “school within a college.” The large schools are destined to change their names to colleges. The new rules were approved in February of this year. 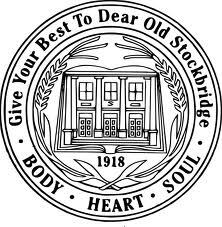 At that point, we submitted a number of proposals related to the “new” Stockbridge School of Agriculture. They moved through the University’s Faculty Senate in record time with final and enthusiastic approval coming at a May 3 Faculty Senate Meeting. As of July 1, the Stockbridge School of Agriculture was reborn, not out of the ashes of its former self, but out of a healthy and forward-thinking Stockbridge. administrative, degree-granting unit that oversaw the Associate of Science degree programs, but those programs resided in departments. Likewise, all research and outreach resided in other academic units. The School now encompasses all of the pieces necessary to make it among the best agricultural education units in the country. We have everything necessary to control our destiny! The Stockbridge School of Agriculture has a faculty for the first time in its 94-year history. Stockbridge School of Agriculture. Further, they also bring extensive graduate education at the M.S. and Ph.D. levels. Stockbridge School of Agriculture, namely Sustainable Food & Farming, Sustainable Horticulture, and Turfgrass Science & Management. These proposals received approval at all levels of UMass Amherst and now have moved to the UMass Trustees, after which they will be reviewed by the Massachusetts Board of Higher Education. They should receive final approval by the end of the year. If all goes well, the first students will begin entering the Stockbridge B.S. majors in the Spring Semester of 2013. Because of this collection of changes, the position of “director” was changed to be one that oversees not only A.S. degree programs but B.S., M.S., and Ph.D. degree programs as well as agricultural research, outreach, and 25 faculty members. So, I was appointed as director with these responsibilities. Bill Mitchell is still prominent within the Stockbridge School of Agriculture as Dean of Undergraduate Affairs, responsible for all aspects of our A.S. and B.S. degree, an expanded version of his previous job. These changes are big, and some might worry that we will lose something in the process. Our objective, however, is to retain everything that has made Stockbridge great. The Associate of Science degrees will continue to be an integral part of our educational program, and we will manage students’ Stockbridge experience with the same care and personal approach that many have appreciated in the past. We hope also to extend that care to students at the Bachelor of Science and graduate levels. the needs of agriculture evolve. These degree programs will be future focused and produce individuals who contribute significantly to agriculture now and for many years to come. We will maintain a real connection to hands-on education. As an example, we are in the process of developing a new Agricultural Learning Center. This facility will be at the north side of the UMass campus, providing easy access for our students for hands-on agricultural education and great visibility for agricultural programs at UMass.